Raised in a family of builders, from the time Greg DiPalma was six years old he wanted to fish. 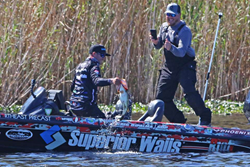 After years working in the construction industry, he turned a builder relationship with Superior Walls into a professional sponsorship for his pro fishing career. Greg DiPalma --- builder turned fishing professional. Greg DiPalma is living every guy’s dream. After a long run in the construction industry, using products like Superior Walls precast concrete foundations, he’s swapped his tool belt for a fishing rod. 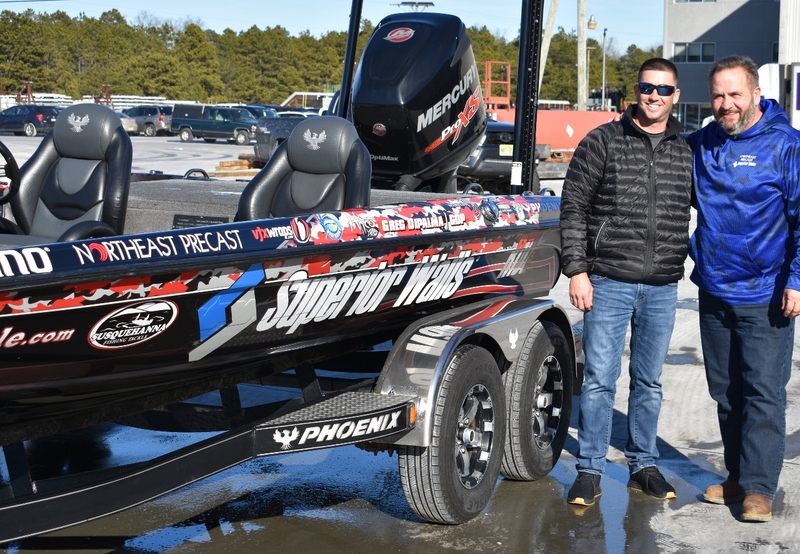 The Millville, N.J. native, who spent 16 years working side-by-side with his father at E D Builders, has just completed his first professional Bassmaster Elite Series fishing tournament --- and he has no plans to return to the construction site. One of the ways DiPalma was able to make the switch to full-time fisherman was by securing sponsorships. His first choice was an obvious one: Superior Walls. “I approached Superior Walls for two reasons,” says DiPalma. “I have a friendly relationship with John Ruga at Northeast Precast after working with him over the years. The second reason is that I wanted to be sponsored by a company that provides product I believe in and can really feel good about promoting throughout my career. DiPalma and his father worked together for 16 years at E D Builders, out of Vineland, N.J., building two to five custom homes each year. The majority of their projects started with dependable Superior Walls precast concrete foundations. Innovator of the precast concrete foundation system, Superior Walls celebrates 38 years of operation in 2019. The company manufactures the only foundation to have earned the NGBS Green Certified Product designation and has precast concrete system licensee manufacturing operations throughout the United States and Canada. All Superior Walls products are custom manufactured off site in indoor production facilities. The panels are delivered directly to a jobsite where certified crews install the precast wall panels. Available for installation year-round, the foundation panels provide warm, dry basements for homeowners --- even in the harshest and coldest northern climates. For homeowners, the benefits of a Superior Walls foundation system are substantial. The energy-efficient walls help lower energy costs and reduce energy leakage while providing increased living space in a comfortable setting. The precast concrete system helps improve the indoor air quality in a dry basement setting along with enhancing the resale value of a home. For more information visit http://www.superiorwalls.com. 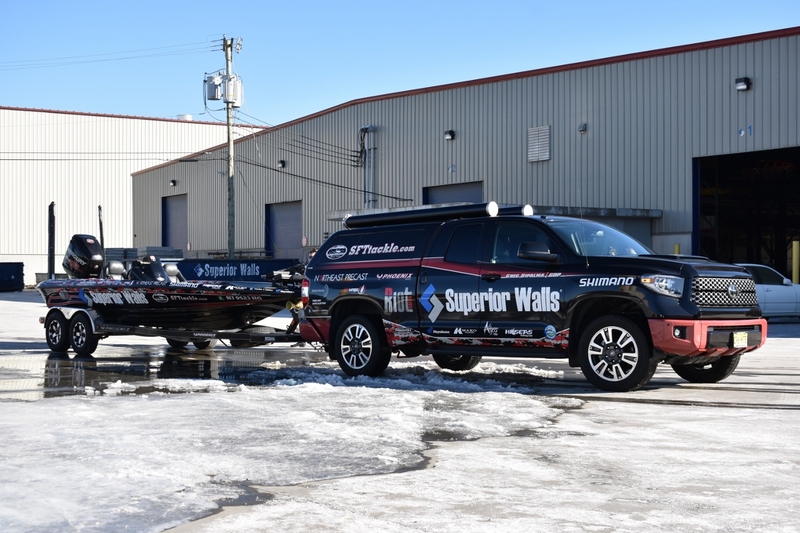 Greg DiPalma truck and boat with Superior Walls sponsorship identification. Greg DiPalma (L) and John Ruga (R). Ruga is the general manager of Superior Walls Northeast Precast.